Give your home a sense of warmth and elegance with one of Lisa’s creative lamps and vintage lighting fixtures! Outdated lamps that Grandma used to have in her own home can be brought into the 21st Century with some creativity. 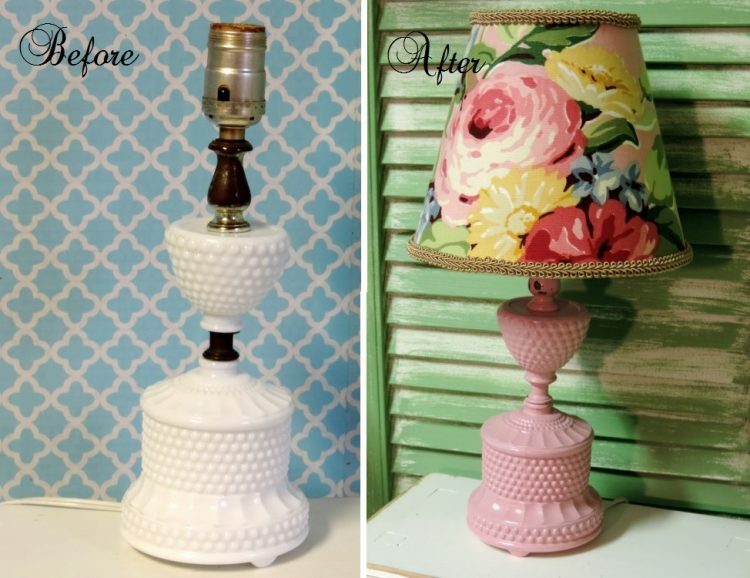 I also love re-purposing vintage and flea market finds and turning them into one of a kind light fixtures. I spend a lot of time on my creative lamps and put a lot of love into my work. I also delight in customizing lampshades to make each lamp unique. A lamp without pretty shade is just a naked lamp! Browse around and you will find an assortment of cottage inspired table lamps and light fixtures you will not be able to find anywhere else! Vintage lamps are always rewired for safety. Looking to have a lamp revamped? Lisa does custom work! Products 1 - 1 of 1. 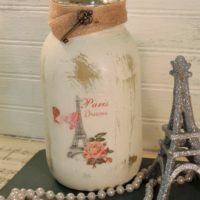 This glittered Parisian inspired Eiffel tower glittered jar candle will add French charm to any room.